Add product lookup by year make model engine or dependent attributes model to your Magento 2 website. An essential Magento filter module for manufacturer, supplier to setup complicated product fitment search for car, toner, auto mobile and vehicle spare parts. 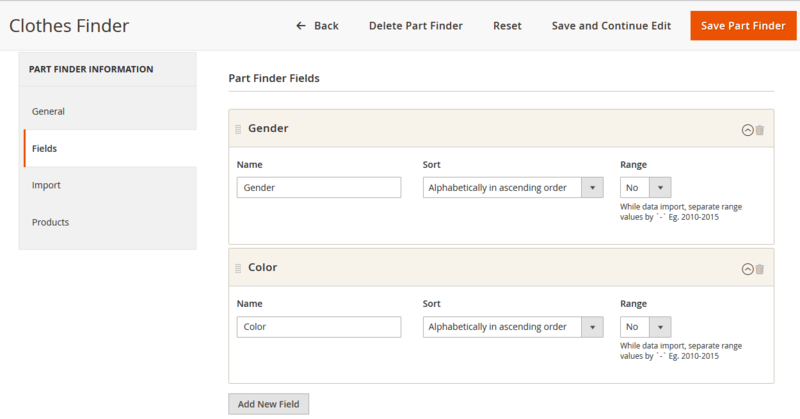 You can display customized part finder dropdown on specific category as well as other web pages. Easy to create unlimited part finders and import/export CSV data. Offers to add multiple part finders. Creates different filters to add various value options. Imports or exports the data. Shows the part finder on category and other webpages of the store. Customizes the filters to display on the storefront. Edits the existing part finder in any other category page. Loads the dropdown values automatically as per the specified conditions. 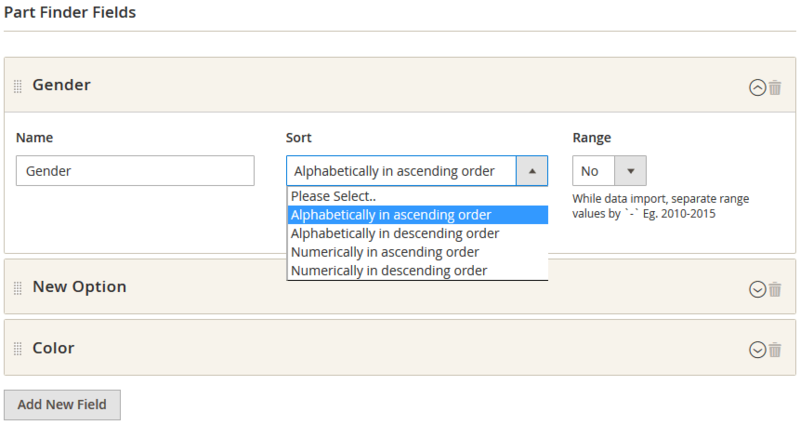 Offers to display dropdown options in ascending or descending order. When customers visit your store, they look for products by keeping some product characteristics in mind. And looking for that product with specific features takes time in searching. 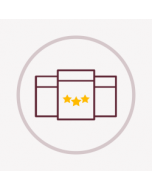 The layered navigation on the product categories helps your customers to narrow down the search results. But, what if they don’t want to take the hassle of going to the category page, entering the keywords for searching the products and then filter the search results to search the product which suits their needs best. 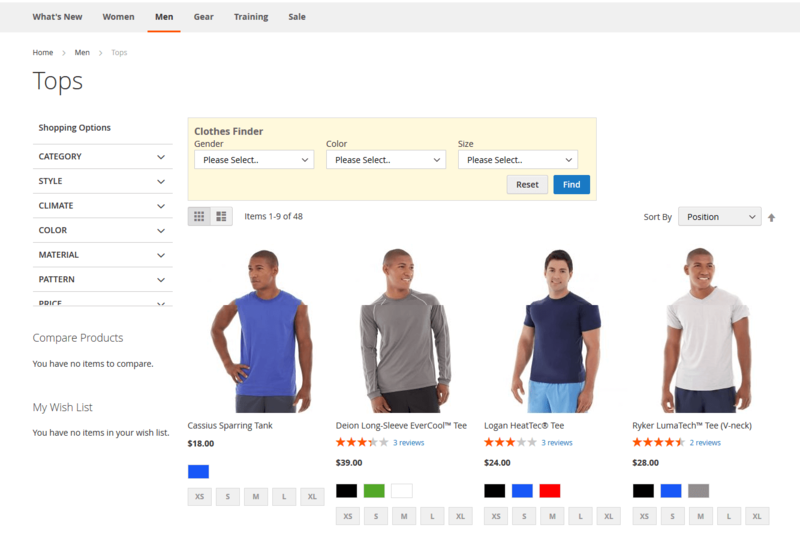 In that case, Mconnect Part Finder extension for Magento 2 based stores enables the store owners to offer a table which allows their customers to search for products with few fields from any webpage of the store and then narrow down the search results if required. The Year-Make-Model Extension offers a quick way to find the product with particular specifications. With this extension, you can display the part finder on the category as well as other webpages. 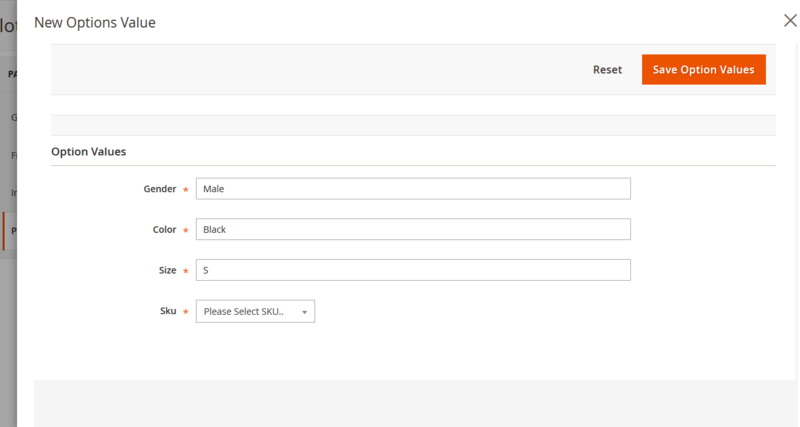 It gives different dropdown options and values such as Making, Year, and Model for Auto parts and color, size, gender for clothing. Using Product fitment extension the customers can find the product from a large number of products. 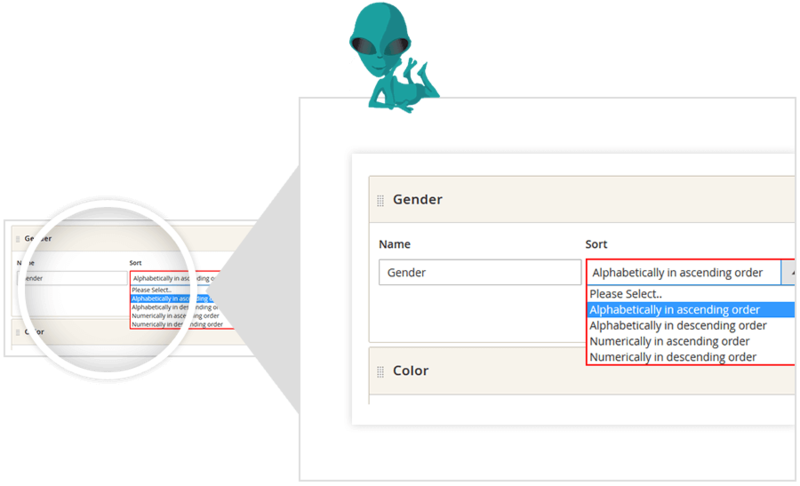 Once the customer selects particular dropdown options for the given fields, the products will appear on the same page without redirecting to other. Also, the filters related to that category or search are displayed without affecting other category filters. The sequence of the fields shown in the storefront part finder can be changed or shuffled by drag and drop functionality. The product parts finder also offers you to add or remove any field from the existing part finder along with creating and displaying a new part finder as per the store requirement. 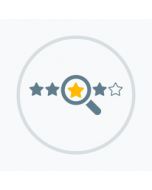 All in all, It helps you to give a better product searching and overall shopping experience. Select 'Yes' to enable the part finder extension on Category page and other pages. 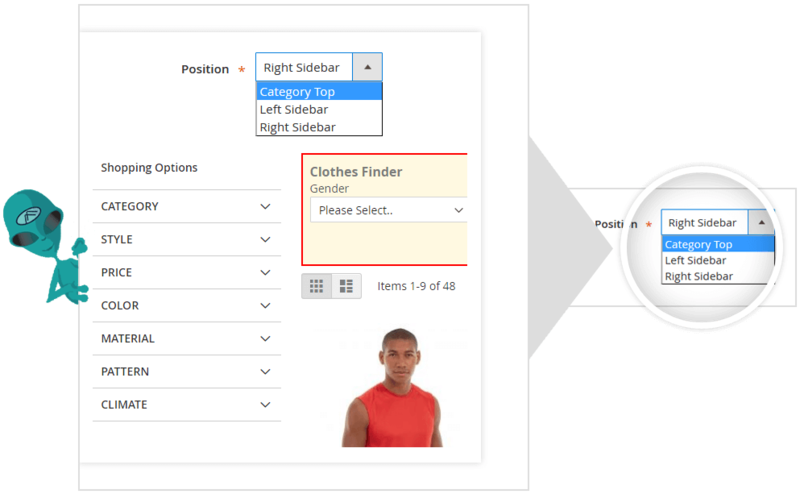 Choose the position of the part finder to display on the storefront from category top, left sidebar or right sidebar. 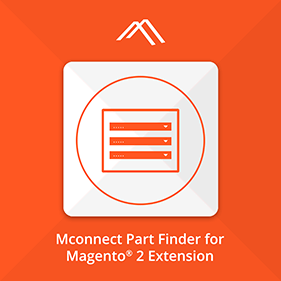 The Part Finder extension for Magento 2 enables you to display a part finder on any particular category page. 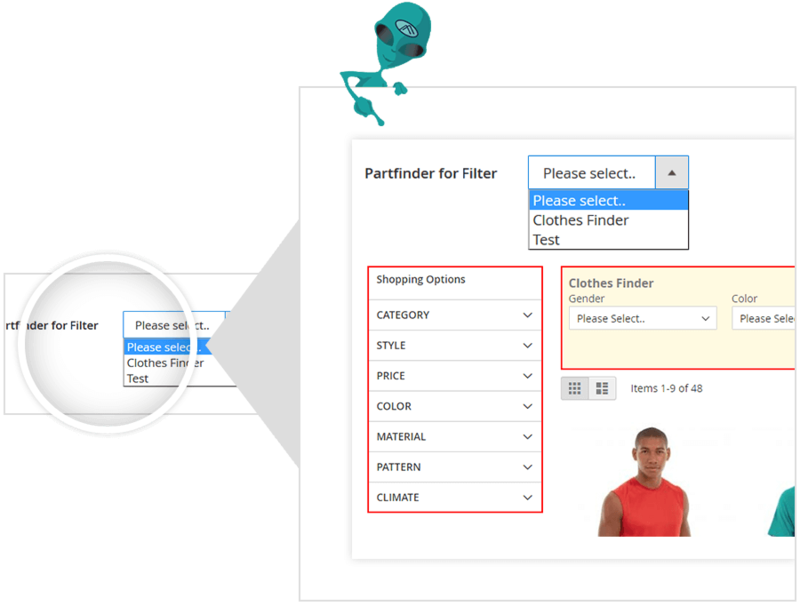 Once the customer will select all the options from the part finder, the filters for that particular category will get displayed without affecting any other category. 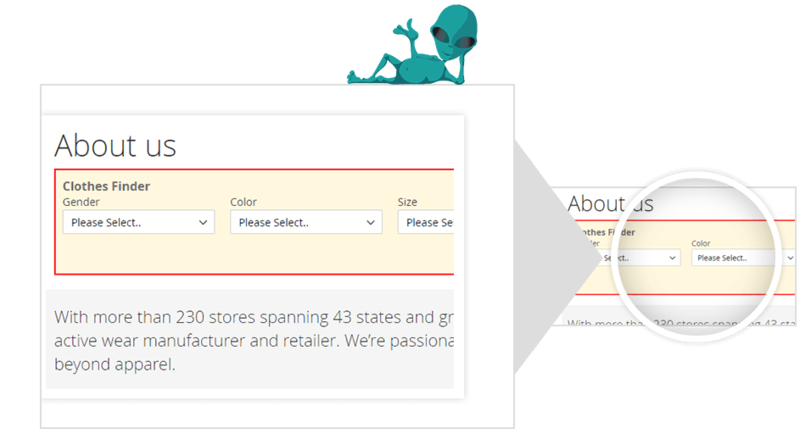 It may happen to you that after few months, you have added new products to your store in a particular category and then you want to edit the part finder for the same. With the Add New Field and Delete button on the Field information page, you can delete any of the part finder field and add a new one as per your requirement. The year make model search offers you to shuffle the sequence of fields of a particular part finder. 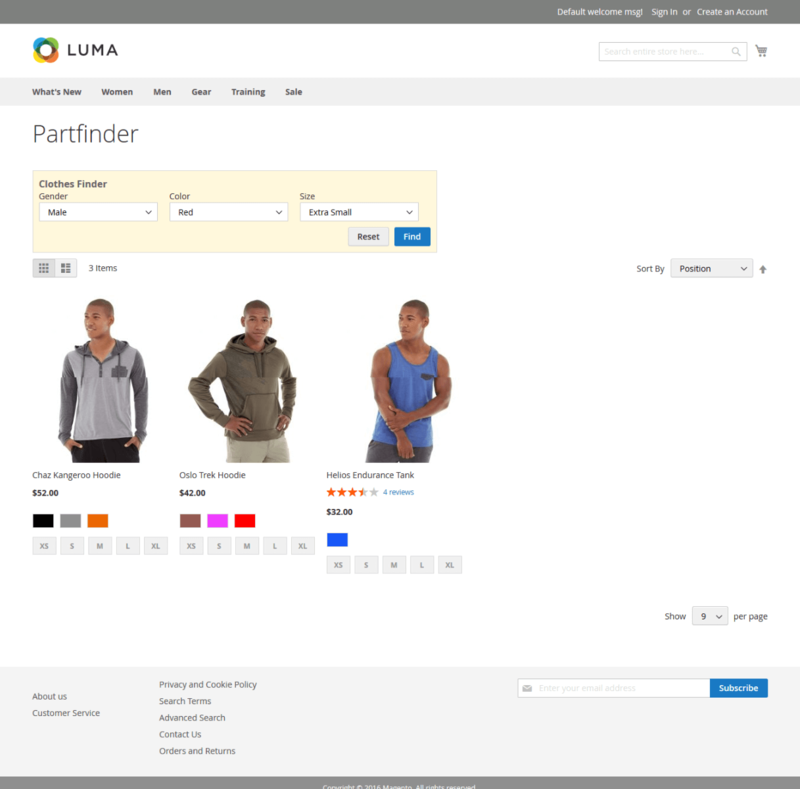 For example, on the clothing category page you want offer part finder fields in order: Size, Gender and Color; you just need to hold the field, drag and then drop at the position you want it to appear on the store front. 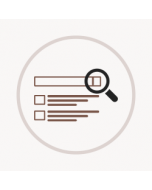 You can create a new part finder to make your customers search the products easily, as per the product category. 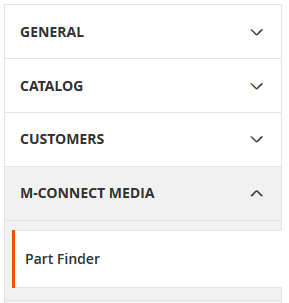 Go to admin panel and navigate to M-Connect Media > Part Finder > Part Finders > Add Part Finder. Here, you need to provide general, field, import and product information. The configuration or setting of some extensions take more time. So, to increase the process of configuration, the extension offers the store owners to import the CSV file. 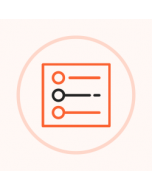 With this functionality, you can import or export the CSV data file. 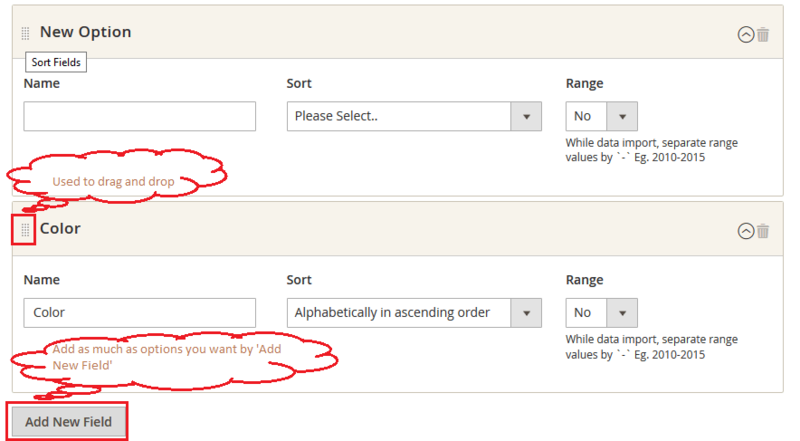 You can also set the behavior of the import data (include all the data including latest or delete previous data). The extension allows the admin to add and show the part finder on CMS pages or blocks such as About Us or other webpages. This will give your customers a better search and shopping experience on your store. 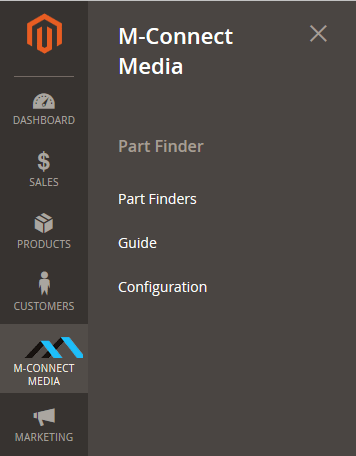 The Part Finder extension developed by M-Connect Media offers you to shuffle the sequence of fields of a particular part finder. I like this extension compared to others available in the market because it has some extra feature to ease the product finding a concept for my jewelry store with multiple variations. I recommend this extension for the kind of conceptual e-commerce store. Its working good on my store, thanks for making it available. Our Magento based online store sales electronic gadgets and printers from leading brands famous in our locality, as main items. My customers were making complaints frequently about the difficulty to locate right cartridges of different brands as well as other tiny electronic components for gadgets. We came into contact with M-Connect team and explained the issues. They promptly provided a solution by installing Part Finder extension on our Magento storefront. The support is awesome, and they have solved all issues pertaining to customization extension according to needs of our store. Thanks a lot, M-Connect Media. I run online automobile store selling parts and accessories chiefly for cars and motorcycles. 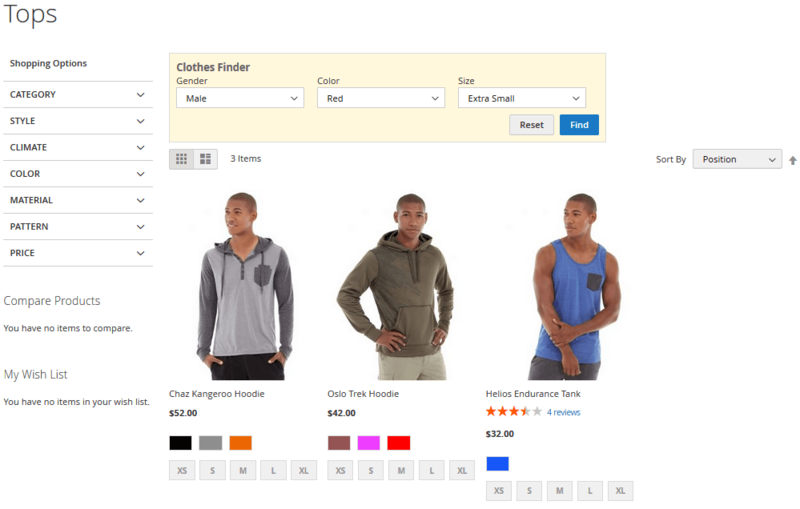 The Part Finder extension developed by M-Connect Media proves an unbeatable solution for my ecommerce store. Advanced search options have won the hearts of my online shoppers and increased orders twice and order values multiple folds. 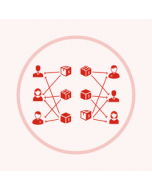 The support of M-Connect team is immense right from installation to configuration and customization. Our company is selling mechanical parts of Trucks and Fleets like heavy vehicle. With tons of tiny parts and axillary products, finding the right match for the model, year, and type of vehicle becomes daunting. Thanks to M-Connect Media for Part Finding extension, we made the life of our online shoppers easy who are looking for quick finding of essential parts and components with easy filtering. Therefore, our last year sale jumped a new high and exhibited stunning record in our business history. Need help in Magento website? Do you have a question, problems or custom requirements for your website? Big or small, No matter, we're here if you feel you need support, help or consultation. Talk to us! Subscribe to get discount coupon & new releases. 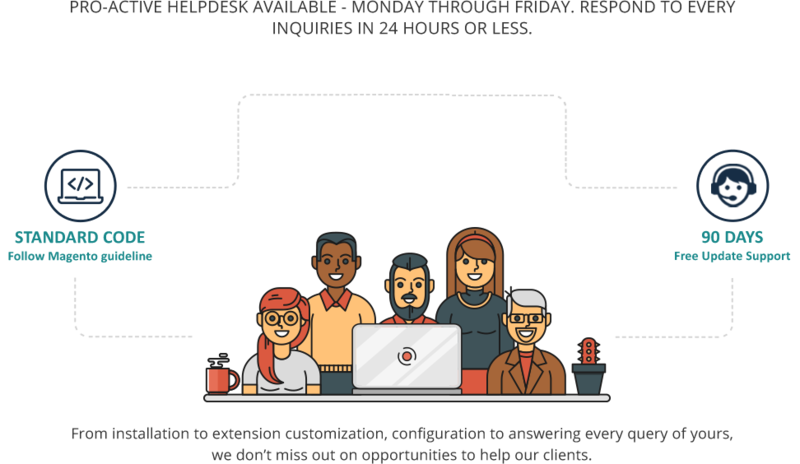 Instant response within 8 hours & availability Mon-Fri. Get customization work free for 2 hours. Remote support available! Get extensive help of Magento experts in installation & configuration. Get customization work free for 1 hour. We offer 30 days, no questions asked, 100% refund for all of our Magento extension. Please read refund policy. Do you have an question? Please ask us. We will respond you within 24 hours. Create a support ticket. Please share your business specific extension customization requirement. Talk to our Magento developer!